Many people think that once you have foundation piers installed, you are done and you can forget about having to do any maintenance in the future on your foundation. Well, that is not really true. I have gone on many, many foundation inspections on homes that have had expensive foundation piers installed but after a few years, their foundation is showing signs again of movement. The problem will usually fall into one of three different groups. First, if you do not address the cause or causes of the initial foundation movement when you have piers installed, what caused the movement in the first place will probably continue to cause the foundation to move, even after piers are installed. The home’s foundation is a massive structure of concrete and rebar. Piers are like pencils holding up a desk. Now pencils will hold up a desk and piers will level a slab. My point is, don’t you think whatever caused that massive slab to move can also move those piers? The answer is – yes. It might take a few years, but whatever moved that slab can also move piers. That is why it is so important to address the causes of the movement. That movement could be caused by the drought, a plumbing leak, not having positive drainage away from the structure, etc., etc. 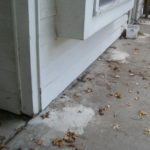 There are about a dozen common causes of foundation distress and if they are not addressed, you may be just throwing your money away by only just installing foundation piers. Secondly, piers need to be installed deep enough and many piers are not. The base area of the pier has a certain amount of capacity it can support but a large amount of its support comes from skin friction. There is also a layer of soil that is ‘active’. That means the moisture content of the soil changes over time and we have very expansive soils in this part of Texas. (Our soils will contract or shrink when they dry out and they will expand or swell when they re-hydrate.) You need to go into the non-active layer of soil to the same depth as you have depth of active soil. So, for example, if the active layer goes down to 10 feet, you need to go down to a depth of at least 20 feet with your piers. This way the skin friction in the non-active layer will anchor your pier so the active layer will not move your pier up or down. Finally, a new situation may come up and that may affect your foundation even if you have piers installed. As another example large trees can pull out a lot of water from the surrounding area; some very large trees can pull out 200 gallons of water a day! If there was a large tree near your home and it was cut down or it died, where does all that water go that use to be used be the tree? It may not go anyplace. It may stay there and re-hydrate the soils; the re-hydrated soils expand and will lift the foundation up considerably. It can lift the foundation off the piers and now since the loading is off the piers, the piers are more susceptible to moving and failing. 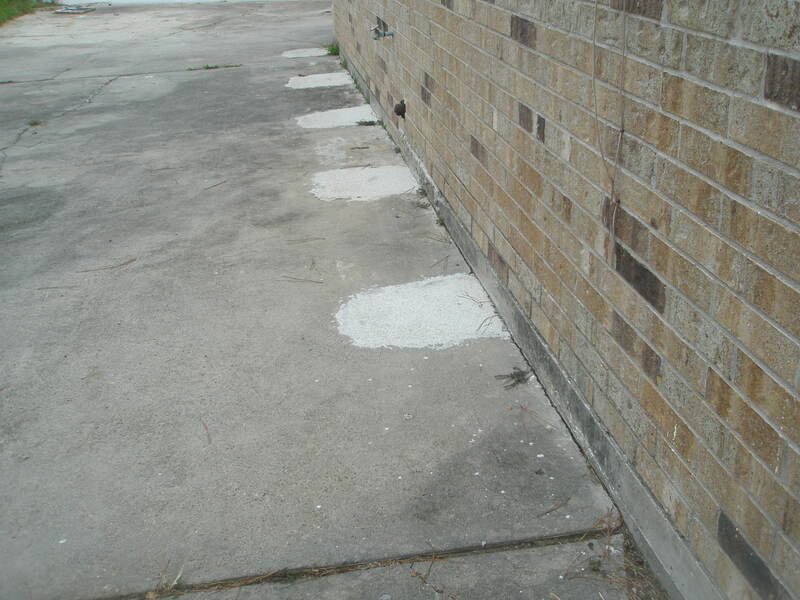 Plus the foundation has heaved up causing damage like cracks in the sheetrock, brick, and tile. Doors and windows don’t operate properly. A couple years ago, I looked at one house that moved up about 7 inches which can be devastating to a structure. We have been in the house for 13 years and just started having problems this year. We have seven piers on the southside of the house towards the creek. Since we have had no rain for 4 months the house is going towards the creek. So my question is do the piers need to be ajusted because cracks are now in kitchen and hallway floors. Back door hard to close leading to backyard also. 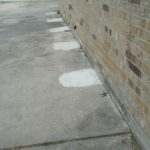 Yes, I would have the foundation repair company come back out to adjust the existing piers that they installed. I would also increase the watering around the perimeter of the foundation to replace the moisture in the soil that the rain hasn’t. A huge amount of dirt was hauled off after piers were installed. Cshouldn’t it have been put back under the house? Water may be standing under my house. Please advise me. Thank you. 281 392 7179. Thank you. 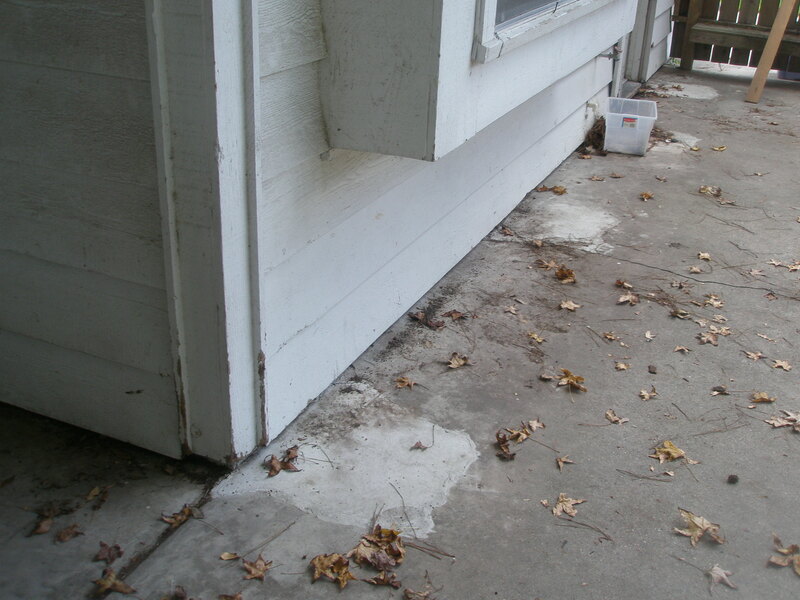 You should have positive drainage away from the perimeter of the foundation. Generally, if you have a positive slope away from the house, water will not pond next to the house. In areas of the country that has expansive soils, many builders are using void boxes when constructing their foundation. This allows a space under the foundation for that soil to expand and not push up the foundation. No, water should not be getting under the foundation but having a gap between the soil and the foundation is not a bad thing. I’m planning on building on cabin within the next year and I’m always worried about building a solid foundation. I’ll have to remember to make sure the piers are installed deep enough. I wouldn’t want to have to deal with problems later on. We had pier installed yesterday to compensate for to much load. After installers lifted there was no level check of floors or anything. How can I check that pier install was effective? I had a stair step crack in my brick vaneer by the corner of my garage. It really depends on how deep the pier is in the ground; this would determine if it was any help to your foundation or if loosening the soil around your foundation to install that pier actually caused more damage. I have been in Real Estate since 2003 and have seen homes with foundation repairs completed sink back to where they were before or worse. You really need to know how deep the loose soil is before you hire a company that can sink piers 20 feet or less into the soil. You may need to go to 25 feet or more to actually fix the issue. So if that is the case you would need to find a company that uses steel piers. I recently had 6 push piers installed on one side of the house due to an irrigation induced settling problem. I am about 2 weeks following install and just now noticing a lot of crackling type noise on the other side of the house. Is it possible for piers to cause earth movement in the areas adjacent to where they were installed? I have built a foundation 20′ by 40′ long, I have poured footings 12″ deep using 5/8″rebar steel as a mat with 3/8″ rear as ties and at each corner there are 5 -5/8″ steel that anchors down to the mat steel and has protruded about 7 ‘ from the top of the footings also there are 4- 5/8″ rear steel every 15’ apart, I have also installed 6 piers into the foundation which consists of 4- 5/8″ steel poured with concrete , they will be evenly spaced , then I will install fill into the foundation , then have the whole foundation matted each way with 5/8″ steel, then I will pour the 4″ slab ; now tell me , although the blocks for the foundation is at seven blocks high , will my foundation floor sink or cave in because the blocks being too high ?